It finally happened. 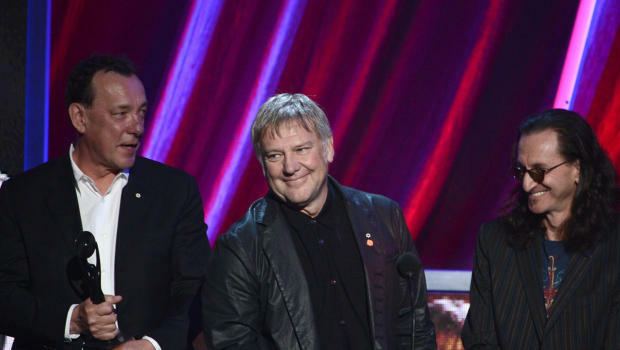 Rush is in the Rock and Roll Hall of Fame. The induction ceremony last week, to be honest, was a little embarrassing in that the long-disappointed Rush fans overwhelmed what was a very strong list of inductees. Look at the list. Heart, Public Enemy, Quincy Jones, Albert King, Donna Summer and others all helped to shape different music genres and broke barriers all over the place. For many on the list (and I’m thinking Heart, PE and Jones primarily), their contributions are right there for all to see. What Rush did, how Rush got to the Rock and Roll Hall of Fame, how Rush became “cool” as Foo Fighters frontman Dave Grohl put it, was a lot different. They toured (a lot) without widespread radio attention until much later. They copied (hey, even I can admit that….their eponymous first CD was all Zeppelin and a lot of their 1980s stuff was completely synth pop/Police-influenced rock). They wrote — well, Neil wrote — a lot of stuff that simply wasn’t airable on the radio (hey, you play “Cygnus X-1” during the morning drive and see what reaction you get). They toured more. Their influences became more subtle, their sound became more their own, notably after Presto. Heck, they frickin’ wore kimonos — almost right from the get-go — and dared you not to take them seriously. And don’t forget Geddy Lee’s vocals, which originally sounded like a self-racked chipmunk on speed and now are in a much more agreeable range for music fans of all ages (including my daughter, who would just as soon listen to Taylor Swift). From early on, it was apparent Rush could play with the best in the business. 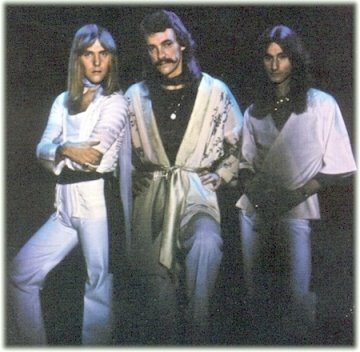 And as time went by, it should have become obvious Rush was finding its way towards music greatness. For those who say Rush’s early days of copying music influences or performance styles are a reason to keep them out of the Hall, I say hogwash. That was a significant part of the band’s past, but that’s in the past. If you plan to leave out Rush strictly for that, then who gets in? It doesn’t matter if it’s the Black Keys, Nirvana, Led Zeppelin or Elvis…or Sinatra, Count Basie or Robert Johnson. Or Rush. Every band, every person, is the sum of its/his/her influences. Some are simply better at hiding those influences than others. And to say Rush hasn’t impacted the music industry would also be incorrect, although that influence is far more evolutionary, more gradual than it has been for other music groups. Bands such as the Foo Fighters, Candlebox and Primus (to me, one of the most inventive, if also strange, bands of the last 25 years) have all pledged allegiance to the Starman family tree, although you may well have to strain to hear the musical ties. No, Rush belongs in the Rock and Roll Hall of Fame as much as any other band. 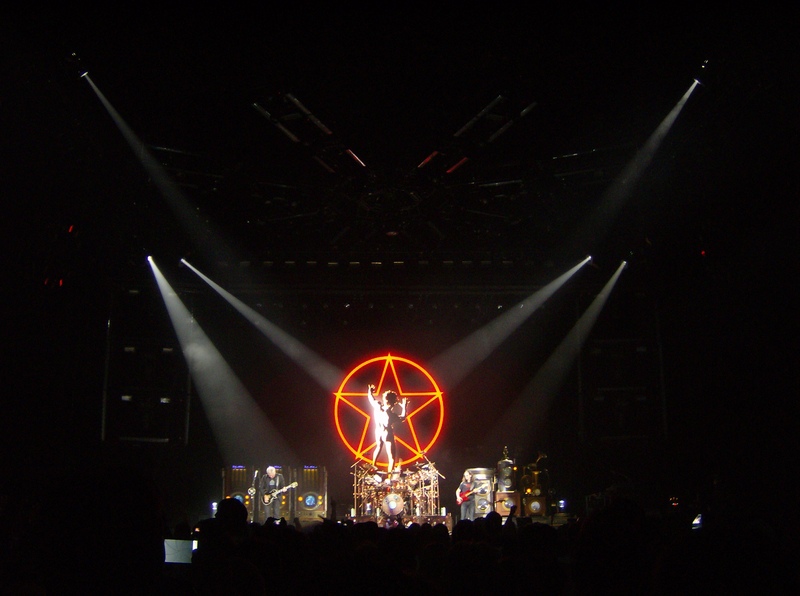 The honor comes as Rush is on tour supporting Clockwork Angels, a major nod to its roots with the sound of a band polished by road dirt, success, determination, experimentation, tragedy and perspective. It also comes with rumors flying this is indeed the last go-round for the Canadian rock trio. If that is the case, the induction will truly be a farewell to kings. For once, the meek have inherited the music earth. And, for a short time anyways, they have assumed control.